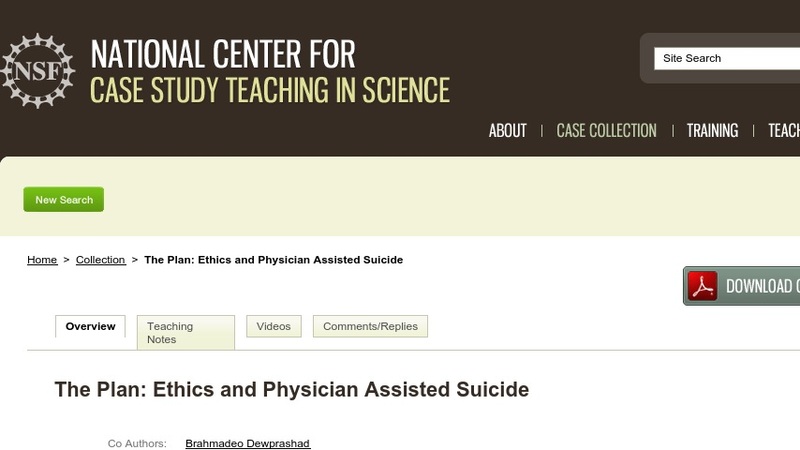 This case study on physician-assisted suicide is used in a medical ethics course. The case itself is a short article published in 1991 in the New England Journal of Medicine in which Dr. Timothy E. Quill described his care for a patient suffering from acute leukemia, including how he prescribed a lethal dose of barbiturates knowing that the woman intended to commit suicide. As a consequence of the article's publication, a grand jury was convened to consider a charge of manslaughter against Dr. Quill. Students read the case and then, as part of a classroom-simulated trial, discuss physician-assisted suicide in terms of fundamental medical ethics principals. The case could also be used in a graduate-level bioethics class.